Arla Foods Ingredients is serving up a new range of clean-label, dairy-based solutions for the foodservice sector. The innovative ready-made cooking ingredients will make it easy for food companies to develop and supply foodservice products that are natural, healthy, convenient and stable – all of which are all key priorities for restaurant and catering businesses today. 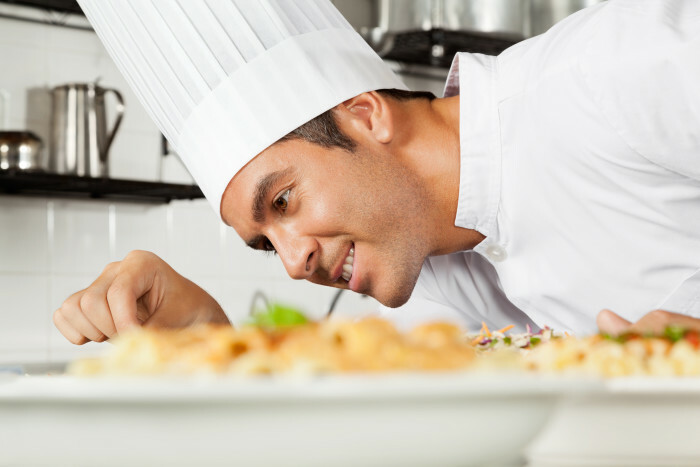 Global foodservice sales are forecast to rise by 17% between 2015 and 2020. Growth in this market presents food companies with an excellent opportunity to expand their portfolio to include high quality products that will appeal to foodservice businesses all over the world. As the sector grows, major trends commonly seen in the packaged foods market – such as clean labels and nutrition declarations – are rapidly migrating from supermarkets and into the out-of-home space, too. Arla Foods Ingredients’ new foodservice range addresses these trends by delivering distinct benefits, such as ease of handling, stability, improved texture and great taste. Produced with dairy proteins, they are much higher in protein and significantly lower in fat, calories and carbohydrates than standard equivalent products. They can easily be customised with colours, flavours and inclusions as required to create a wide variety of products that will excite both chefs and diners. The new foodservice solutions have been launched under Arla Foods Ingredients’ Goodness of Dairy* campaign, which highlights how dairy ingredients are key to tapping into growing consumer demand for food that is natural, healthy and offers great taste and texture. Arla Foods Ingredients is a global leader in natural whey ingredients for products in a range of categories – from bakery, beverages, dairy and ice cream to medical, infant and sports nutrition. The cornerstones of our business are innovative ingredients, world-class facilities and a staff of dedicated experts. Drawing on our portfolio of functional and nutritional whey proteins, milk minerals, lactose and permeate, our expert team delivers solutions that bring new food products quickly and efficiently to market. Our application centres run hundreds of customer product trials every week. All ingredients are produced using state-of-the-art processing technology at our plant in Denmark, or by one of our joint ventures in Argentina, Germany and the UK. Arla Foods Ingredients Group P/S is a 100% owned subsidiary of Arla Foods, a global dairy company and cooperative owned by dairy farmers in Denmark, Sweden, the UK, Germany, Belgium and Luxembourg.